Easily integrate your GEN1 or GEN2 Rachio Iro with URC for full access to each zone and more. Save on the combo when you add the 16-zone controller to your cart (discount reflected at checkout). 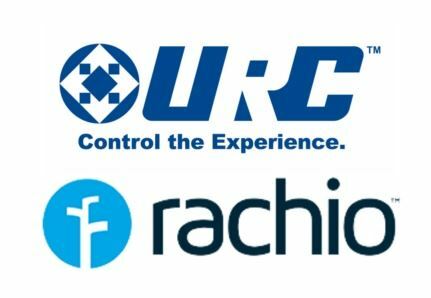 Now URC dealers can integrate the Rachio Irrigation Controller into the Total Control platform with ease. 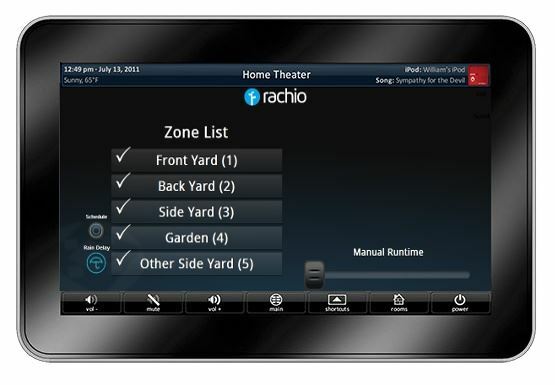 Simply add our module to the project and it will auto-configure the URC system showing you each zone, it's name, status, ability to control the zone and more! If music is playing in the back yard, automatically enable a raid delay so the sprinklers don’t turn on. You're having guests over for a picnic and do not want the system to resume until 10pm. Garden vegetables need to be watered at the same time each day but you are away from home during this time. The Red program button is for turning the schedule off. The Green program button is for turning the schedule on. The Yellow program button is for activating the Rain Delay. Volume Up and Volume Down are tied for ramping the Manual Runtime Duration. The runtime range is from 1 minute to 1 hour and 30 minutes. Saves you water and money. EPA WaterSense certified smart watering, including automatic rain delays, can save users over 50% of their outdoor water use. Plus, eligible for rebate options up to 100% of retail value. Easy installation. Replace your current controller within 30 minutes. 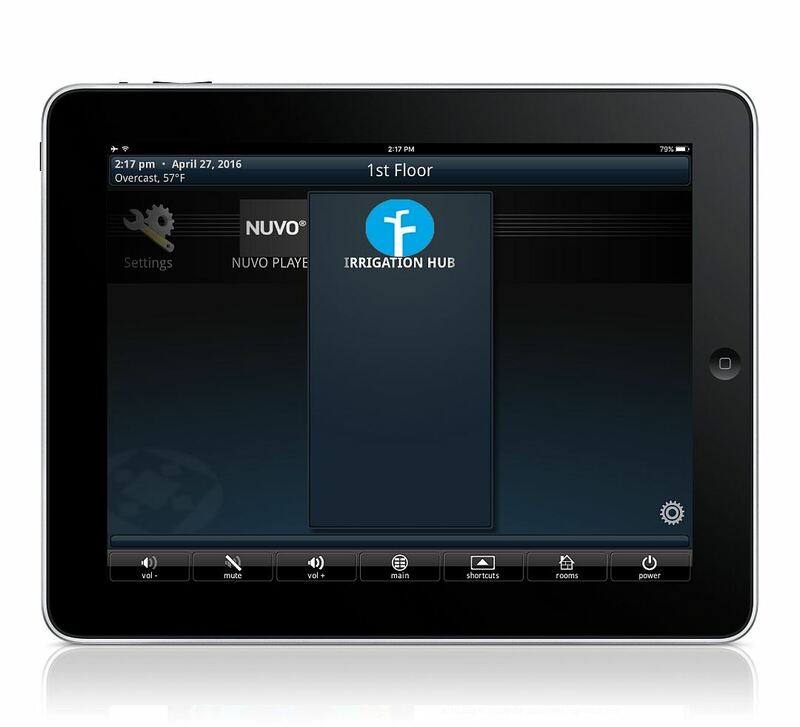 Works with any sprinkler system up to 16 zones, with no special tools or expertise required, and connects with your home WiFi. Designed for the future. Cloudbased software allows for constant updates, expanded capabilities, and integration with new platforms. 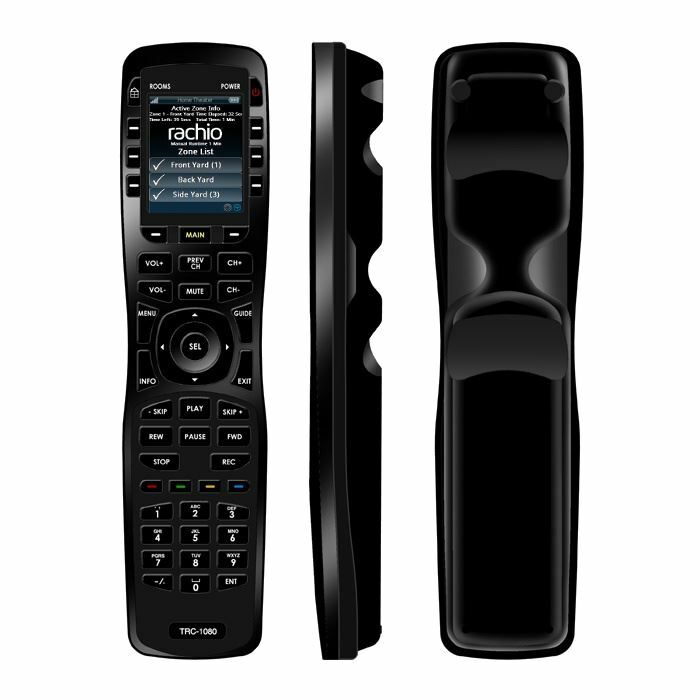 This module supports user interfaces on the following URC products: TKP-7000, TKP-2000, TRC-1080, TRC-1280, TRC-820, URC Mobile Phone (iOS/Android), and URC Mobile Tablet (iOS/Android). 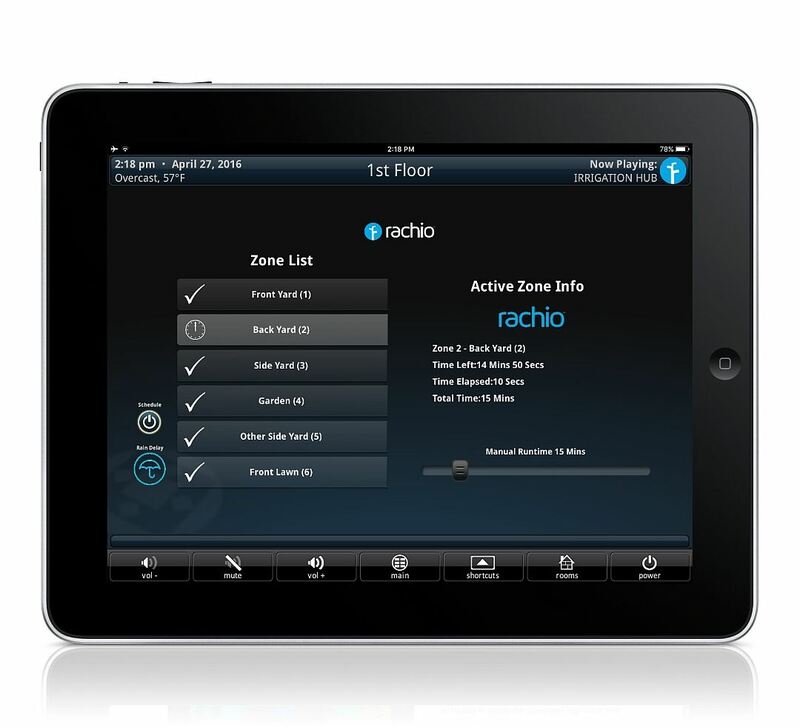 Ensure you have setup and can control your Rachio Irrigation Hub(s) with the Rachio Mobile Application before integrating into the control system. Each module is tied to one account, but one account could have multiple devices connected to it. Import the URC module into Accelerator. Restart Accelerator before continuing. URC requires every IP module to have an IP Address. Rachio does communication through the cloud therefore the IP address can be entered as 0.0.0.1 or something similarly to satisfy the settings. Here is where you configure your Licensing, Access Token, and module parameters. Each parameter must follow a specific format listed below or the module will not read in the parameters correctly. The license key is obtained via purchase from this website. The Access Token is obtain by Logging into the web app at https://app.rach.io. Inside the web app, click on the menu button to expose the left side slide-out menu. At the bottom of the menu, you will see 'API Token:' followed by a 36 character token. This is the token to be entered in the AccessToken property. Manual Runtime is the default time, in minutes, for a zone to be on for. Rain Delay is the default time, in hours, to delay the current schedule.